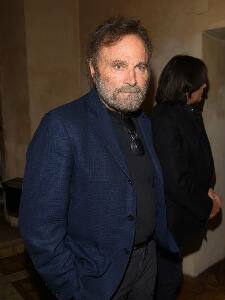 Born on November 23, 1941, Franco Nero is an Italian actor. He studied at the economy and trade faculty and later went to Piccolo Teatro di Milano. He was first seen in a lead role in Django. The Virgin and the Gypsy, Force 10 from Navarone and Enter the Ninja are some of his English films. The Bible: In the Beginning, Street Law, Querelle and The Falcon are some of his best films. Letters to Juliet and Django Unchained are some of his recent films. Franco was in love with British actress Vanessa Redgrave, but the two separated and again united and married on December 31, 2006. They have a son named Carlo Gabriel Redgrave Sparanero.